Eid al-Adha is regarded as one of the most significant and religious festivals for the Muslim community which is celebrated every year across the globe according to the Hijri calendar. Similar to the other festivals like Eid-ul-Fitr and Ramadan, Bakra Eid is observed with immense magnificence and grand enthusiasm. The festival of Eid-Al-Adha symbolize sacrifice and this is why it is also known as the ‘Festival of Sacrifice’ or ‘Sacrifice Feast’. On this day, to honor Prophet’s sacrifice of his son, Muslims all over the world sacrifice their beloved goat, lamb or sheep which is why this festival is also known as Bakra Eid. As per the Islamic calendar, Eid-Al-Adha is observed on the 10th day of Dhu-Al-Hijjah which is the 12th month of Islamic Lunar Calendar and is revered as the holiest month in the Hijri calendar. This observance continues till the 13th Day. According to Western Calendar, Eid Al Adha 2018 celebrations will begin on 21st August 2018 and will continue till 22nd August 2018. Why do we celebrate Eid-al-Adha? 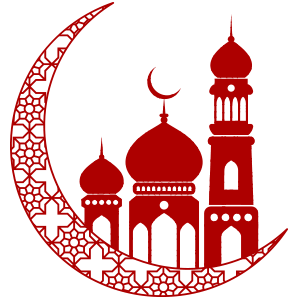 Eid-Al-Adha is perhaps one of the holiest Islamic festivals. It marks the sacrifice done by Prophet Muhammad on just one command of the Almighty. The Prophet was ready to sacrifice his son just to honor the order of God. In order to test the faith of Prophet Ibrahim, the almighty appeared in the dreams of Ibrahim and asked him to sacrifice his most precious and beloved possession for proving his true faith and devotion. Ibrahim loved his son the most and to show his faith, he had no option but to sacrifice his son. Therefore, Ibrahim with his beloved son began his way towards mount of Mina near Mecca. As it was not at all possible for Ibrahim to see his son dying, he closed his eyes and blindfolded himself. Then he raised his sharp sword to kill his son. While chanting the name of Allah, he beheaded his son Ismail. He then opened his eyes and was completely astonished at the sight. When he looked, his son was present there all healthy without any kind of injury, and a dead lamb was lying there. By looking at the gesture of Ibrahim and his undoubted faith, God intervened with the help of his angel, Gabriel, and replaced Ibrahim’s son with a sheep. Ibrahim emerged as a true devotee in the eyes of God for his belief and strong faith in the almighty. Therefore, the day is rejoiced and being celebrated with great grandeur and splendor by the entire Muslim community around the world to worship and honor undenying obedience of Prophet towards the almighty. The celebration initiates after the successful completion of the Hajj which is an annual pilgrimage observed by the Muslim people in Mecca, Saudi Arabia. So, from this day onwards, Muslims observe the festival of Eid-Al-Adha by sacrificing their goat or lamb. This is also called ‘Qurbani’ which is again a way to show their deep devotion to Allah and also to honor Prophet’s sacrifice. There is a tradition or ritual that the meat of the slaughtered animal will be divided in three different parts. The very first part is for the family members and is eaten by them only. The second part of the meat is distributed among the friends and relatives and the last of the third part is given to the needy people or the poor. This act symbolises the willingness of the people to give away their things which are close to their heart and are beneficial for them in order to respect the commands of Allah. The distribution of the meat represents the willingness of giving up something of people’s own boundaries for strengthening the knots of friendship as well as for helping the ones who are in need. How do you celebrate Eid-Al-Adha? On the eve of the Eid al-Adha, some special kind of feasts are prepared that makes the festival more exciting. Few of the delicacies prepared on the eve of Bakra Eid comprises of Gosht Haleem and Kheer, Chapli Kabab, Mutton Keema, Mutton Korma, Bhuni Kaleji and Mutton Biryani.